If you are a German player then you are probably looking for an online casino that offers Giropay. Obviously, you can also deposit with your VISA or Mastercard, or with any other type of depositing method, like Paysafecard, Neteller or Skrill… But let’s face it, if you’re German then it’s generally easier to use this exclusive method. Not to mention the fact that it is also a safer and a more trusted method, of course! Hundreds of euros in purchases and millions of transfers have been made so far. And as if that isn’t impressive enough, over one million of these transactions are processed every single month by Giropay GmbH! So, to make a long story short, we certainly can’t blame our German friends when they say that they prefer playing at online casinos that accept this particular depositing method. Luckily, most recommended websites do already have it listed as available and that is why you can simply take your pick out of the operators that are advertised here. If you’ve used this method before, then you’re probably not going to run into any issues while making a deposit at an online casino. Because it works exactly the same as making a purchase on any other website! You can compare it to buying credits which you can use on the many available games, after which you can have those credits paid out to your bank account in the same currency. Here’s how it works: First you log into your casino account and go to the deposit page or the deposit window. There you will enter the amount of money you want to transfer, followed by a simple click on the ‘Giropay’ button. That is where you select your bank, which should automatically transfer you to the login page of your cooperative bank of Sparkasse. On that login page, the transaction data is displayed and you are required to enter your account number, PIN, and either a TAN code or another type of additional security code. Then, once you confirm your payment, the bank will take the money directly from your account and send it to the online casino. That means there is no delay and if there is not enough money in your bank account then the payment will fail. Upon completion, you will get a confirmation by the bank and you are automatically sent back to the website of the online casino where you just made your deposit. That’s it! The manner in which you put the money on your account may somewhat differ per bank of Sparkasse, by the way. Some participating banks will let you use two-factor authentication (for example with an access token), while others will make use enter a PIN code or a TAN code in order to complete the transaction. Either way, there are plenty of measures to prevent fraud when you are using Giropay. Not to mention the fact that you are also protecting your financial information to a much greater extent! 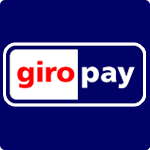 Because when you make a deposit with Giropay, the casino will simply receive the money from that system without getting any additional information, like for example your credit card or giro card number. And that means you can put money in your online casino account in a more anonymous manner, while taking it directly from your personal bank account!